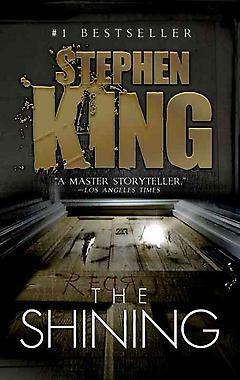 So in my last post about what I was reading, I listed three books I had read and at the time, I was reading The Shining. I must be a reading machine right now, because since then, I’ve read quite a few more books. Seriously! I figured now is as good a time as any to recap what I’ve read since the last post, and hopefully give some of you fellow readers some ideas/recommendations of what you should read next! This book was one of the ones I added to my list while I was searching through the “What’s Hot” list on my library’s web site. I later found out that it’s being made into a HBO movie, so I figured I should read it first before I watched it – if I do watch it, that is. This book reminded me of Gillian Flynn’s Gone Girl. It’s a “thriller” or “mystery” but it was kind of lacking in some areas. The overall plot is a mother, Kate, piecing together the mystery of her daughter, Amelia, by looking through social media, talking to friends and reading her phone. Doesn’t sound like much, but there’s more of course! I enjoyed that the book was written from both Amelia’s perspective – as the mystery is unveiled – and also from Kate’s perspective, as she’s piecing together the mystery. It wasn’t the best book I’d ever read, but I would recommend it if someone is looking for a quick, easy mystery. This book came recommended to me by my friend Amber. She actually owns the book and lent it to me to read. It’s another mystery/suspense/thriller and while it was slow in the beginning, it picked up pretty heavily. 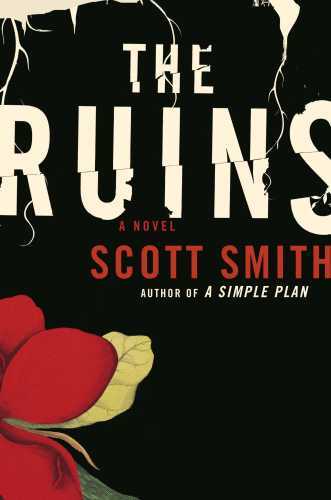 It’s about four college grads who are vacationing in Mexico, meet up with some new friends, go exploring the jungles nearby and then become trapped there. Now they have to learn how to survive in their new surroundings for who knows how long, but also endure the strange things that start happening while they’re there. This book is hella descriptive, graphic and at times, had me feeling queasy. REB would come upstairs and ask me what was wrong because apparently I would have a horrified look on my face or my eyes were really wide. I haven’t read other books by this author, but I really liked the way he wrote and again, I liked the way the book was told from all four kids’ perspective. Warning though: because it’s so descriptive there isn’t a lot of dialogue. This was also made into a movie so I’ll need to give that a watch soon! This book is best read in the summer. Perhaps that was my mistake for having read it during the cold Michigan winter. I probably would have enjoyed it way more. It’s a pretty story that spans over 50 years. 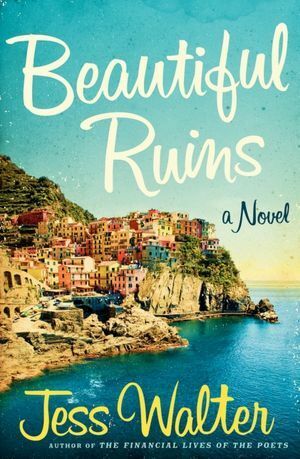 It’s about a Hollywood star who comes to Italy and the innkeeper who sees her and falls in love with her. The story starts in the 1960s, but it’s also told “in the now” as you read about how he comes searching for her on the set of a movie (similar to Life After Life where you read the same story, but from different time periods or whatever). It’s a cute and an easy read, but I don’t know that I’d recommend it to anyone. It didn’t keep me interested that long and the author name drops a lot of famous actors throughout the novel too. I was surprised by the number of people who gave this book 2 or less stars on Goodreads. This story is another one of those woman-does-something-so-she-writes-a-memoir, but it was good. I had my doubts because I read that horrible, atrocious pile of garbage Elizabeth Gilbert wrote (Eat Pray Love) and hated…and I mean…HATED that book. So having read a book like that, I was really nervous to read this book. However, I was pleasantly surprised. 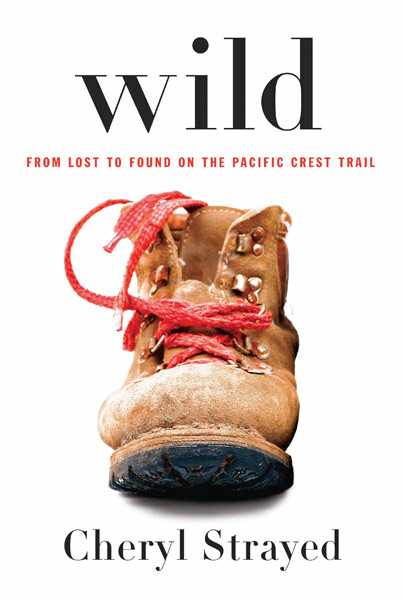 This book is about a woman named Cheryl who, when she was 26 years old, decides to hike the Pacific Crest Trail on her own, which runs from California up to Washington. The reason she does it? Her mother passed away a few years before and she never really found herself centered.She meets people along the way, is smart about what she packs, but learns a lot. I loved this book, plain and simple. I thought about my life at 26 and what I was doing and “hiking 2,600+ miles” sure as hell wasn’t on my list. Sure, she was stupid in some decisions she made both on trail and off, but she was 26. She’s a grown up but hasn’t gotten it all figured out yet. I read this book in one day. It’s also being made into a movie. Give this book a chance. Especially if you want something better than that other pile of crap. This is another book-turned-movie that I wanted to read. I think it’s actually already out and on DVD/Blu-Ray. It’s a young adult/teen book that follows the story of Sutter Keely, this senior in high school who has a live-in-the-moment view on life. Along the way he meets a girl from his class, Aimee, and feels the need to help her open up from her quiet, sheltered life. It doesn’t sound like much, but I found I could relate to the story in that we all knew that kid in high school. I knew of at least three or four boys in my class who acted like Sutter and I desperately wished I could have been their friend, but I was the awkward, quiet girl who had band friends, but we were definitely deemed as the class nerds. It made me feel like a teen again going through those experiences and imagining what my life would have been like if I had been invited to one of Paul Doerr’s hose parties (only peeps from my school who read this will know who he is). I don’t even know if Paul threw amazing parties, but I heard they were a good time. Anyway, this is a good read. It’s told from a guy’s perspective, which not too many teen/young adult books do and it’s highly entertaining! This entry was posted in Books, Life and tagged 2014 books, books, fiction, what are you reading on January 22, 2014 by Aparna B.. Awesome! Yeah I can understand not wanting to read things by King, but the other books were great! Now you need to read the follow up to The Shining: Dr. Sleep. So good. Hi Darla! I actually have that requested at the library! There’s just a bunch of people ahead of me who are also waiting. I actually decided to read The Shining because I knew the sequel was coming out in 2013/2014! Yay! I’m so glad you enjoyed Wild. That book took me by surprise too. I didn’t like her character but I loved the book regardless! Though, (confession) I also love Eat, Pray, Love though I was pissed when she decided to stay at the ashram for more boring chapters instead of actually exploring India! I did enjoy Wild! I can understand why people liked Eat Pray Love, but the woman just pissed me off. LOL. Cheryl Strayed was a weird character, I agree. I almost wished we could have heard more about the other people she encountered during her journey! I do love Kubrick’s The Shining because JACK NICHOLSON but now you know why Stephen King has always – very publicly – been against that adaptation.